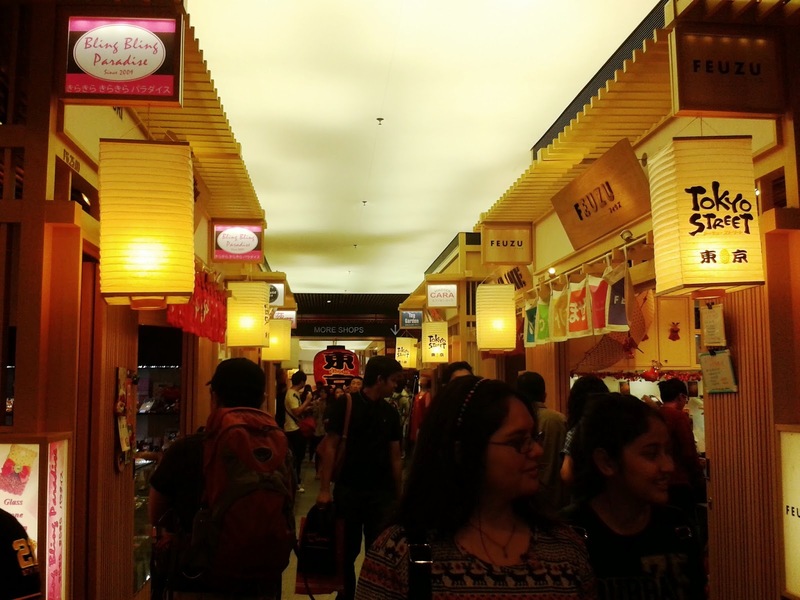 Roll On : Le KL's malls adventure. It is nothing much to be proud of. The malls of course. 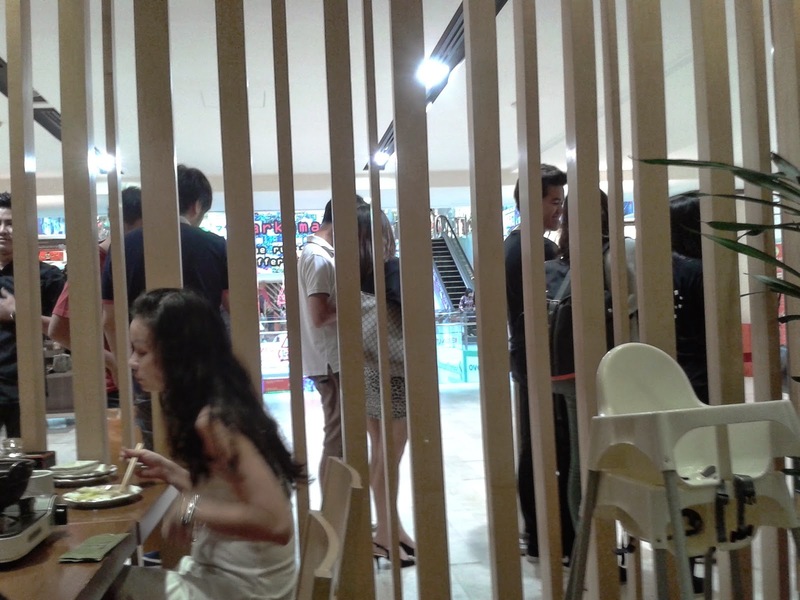 But it was quite an experience as we actually walk from the first mall to the very last one in one day. 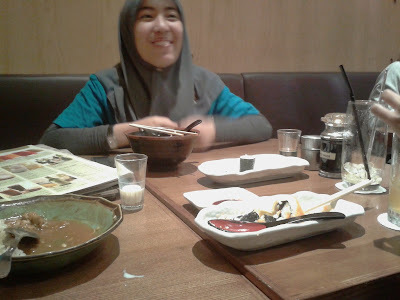 To spend a day of impulsiveness such these was more fun when i am with my best buddies Shela and Hirza. Survey all kind of SALE. Check. Amazing views along the way. Check. New experience especially about that walking path. Check. Hirza also managed to have us try Sushi Zanmai so a little gourmet adventure there.Check PLUSSSS. So, we simply gather here as we want to tour KL and of course the malls are the way to go. Well. We started by walking toward Pavilion from Bukit Bintang Station. Pavilion is weird. I don't understand why there is always construction held near it. But it always have the fanciest decoration especially during special events. Always have some big statue in front of it. The Pavilion building itself was quite nice. We rarely go there as they only have fancy shop with even fancier prices. I once go there for Sukiya. It was so delicious! Oh. 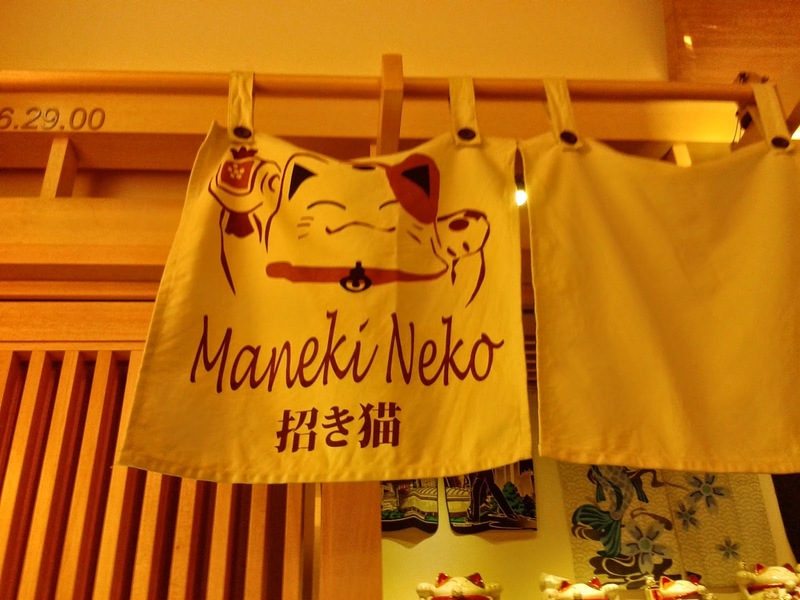 They have Daiso here also. The next closest Daiso would be all the way to Midvalley if i'm not mistaken. After tiring walk we couldn't find any shop having a sale close to our budget so we end up hungry with no succesful shopping. So we had lunch here. 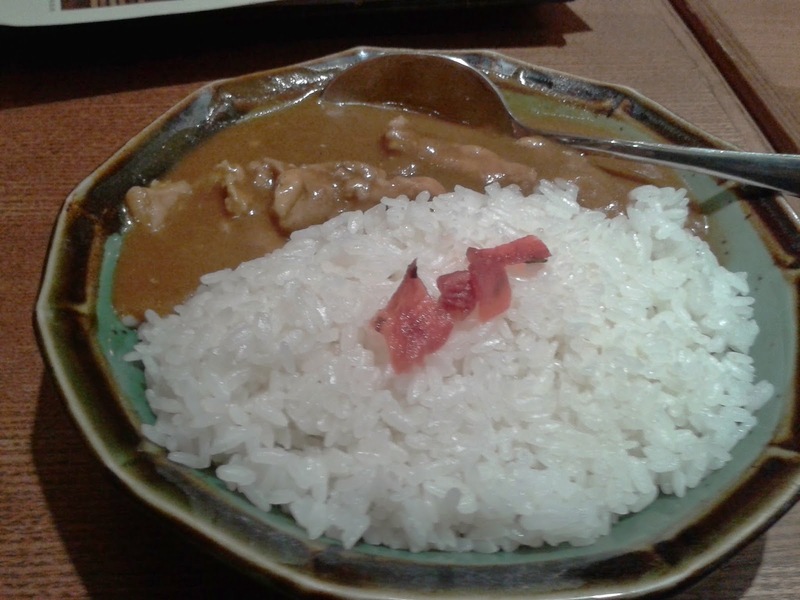 At Sushi Zanmai I have curry rice. It tastes not much like our usual curry of course but still a nice combination with the sticky sushi rice. 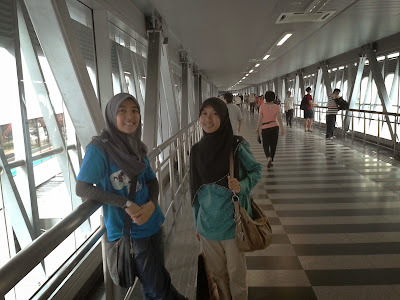 Then start our lil twist, Hirza told us that there is a pedestrian walk made from here all the way to KLCC. Of course we were excited to try it. It was quite a long walk but not like so long like dying kind of walk. 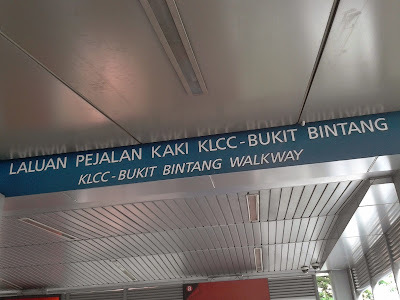 It is more like "oh my i can walk to KLCC from Pavi" kind of walk. emmmm. You know what i mean. 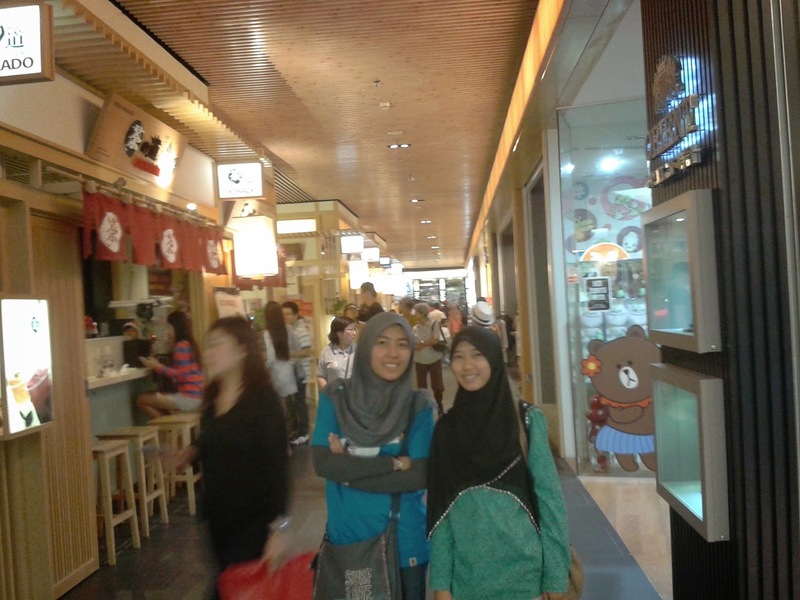 We went for Suria KLCC and Aveneu K afterward. Hirza was keen on finding something to shop for but we didn't found any good sale. 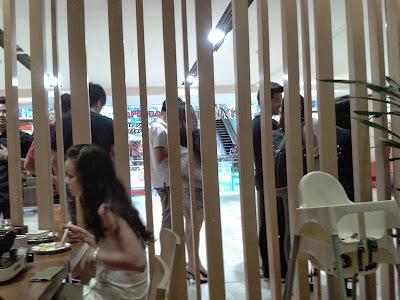 Quite sad because last time we went out we manage to get lots of crazy discount at Midvalley. 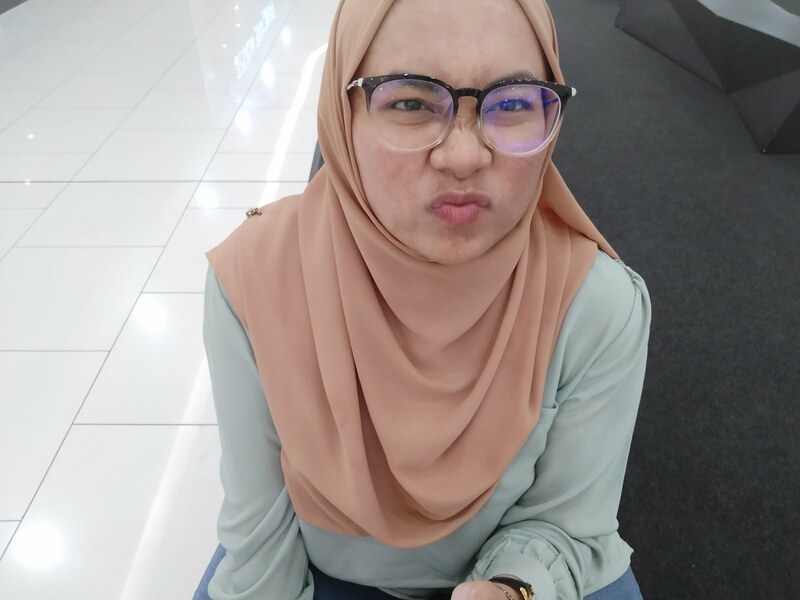 Anyway, she still end up buying a tshirt for her first "anak sedara". After a day of adventure we say our goodbye as we were taking different train to go back to our university. Owh, i forget to mention that Hirza come all the way from UiTM Puncak Alam while Shela was from Universiti Malaya. It was so fun that we, the Manjung gangs, get to further our studies quite near to each other. Till our next adventure then! Roll On : Jual Beli dgn Allah. Roll On : Nak barang free ? Roll On : Volunteers Needed @ Big Bad Wolf ! Roll On : Tukar Ke U-Mobile Sekarang! Segmen : Nak join bloglist Misya 2015! Roll On : Kenapa Perlu Berbisnes?